‘Carbs’ have been a hot topic in the world of weight loss over the last few years. With many diet plans banishing them completely and others claiming we can only eat them at certain times, many of us have been left feeling confused and even guilty about consuming this essential food group. 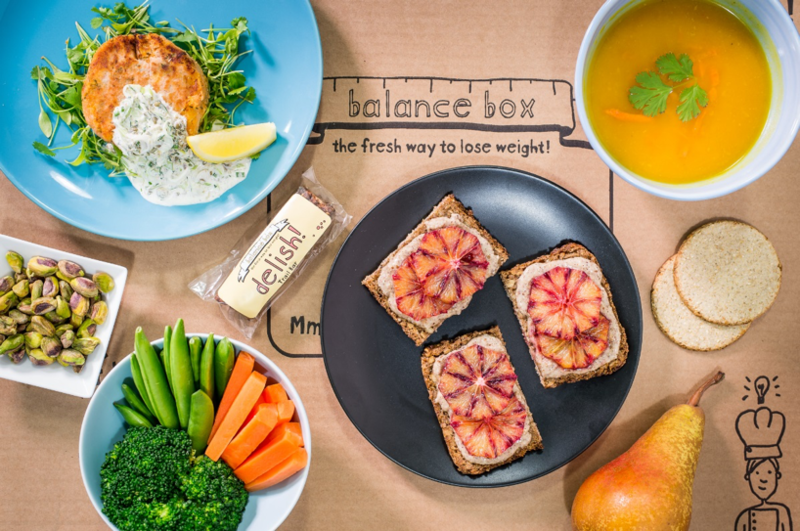 To us at Balance Box, healthy eating is about balance and never deprivation or fads – we don’t neglect any food groups and believe that a healthy diet should be made up of healthy fats, lean proteins and complex carbohydrates. In this blog, we will examine exactly what carbohydrates are and why we believe they are key to happy, healthy, long-term weight loss results. What are carbs and complex carbs? When people talk about ‘carbs’ they are typically referring to foods such as rice, pasta, bread, sweets and starchy vegetables like potatoes. However technically, carbs are the sugars, starches and fibres found in fruits, grains, vegetables and milk products. They are broken down into glycogen (sugar) before being absorbed into the blood stream. Glycogen is used by your body for energy, fuelling all your activities, from going for a run to having a cup of tea! You may have heard of the terms ‘simple carbs’ and ‘complex carbs’. Simple carbs include foods such as pastries, white bread, white pasta and other white floury foods, they are usually highly processed, high in sugar and calories with minimum nutritional value. These types of foods are what have given ‘carbs’ their bad name! On the other hand, complex carbohydrates such as whole grain breads and pasta, starchy vegetables and oats are nutrient dense. Foods containing complex carbs are digested by the body much more slowly – this can help maintain stable blood sugar levels, help you feel fuller for longer and potentially reduce your cravings for sugary foods and snacks, which can all contribute to us shedding a few pounds! Why do we need carbs in our diet and how they can aid weight loss? Carbohydrates are important to our health for a variety of reasons. According to the NHS, carbohydrates should be the body’s main source of energy in a healthy balanced diet. In the absence of carbohydrates, your body will use protein (and fat) into glycogen for energy, however this isn’t ideal as the body needs protein to repair muscle. Fibre is a type of carbohydrate which is extremely important for our digestive health and for regular bowel movements. Fibre can help improve cholesterol and blood sugar levels and can assist in preventing some diseases such as diabetes, heart disease and bowel cancer, it also helps you to feel full – meaning less cravings (and biscuits) later! By avoiding carbs or eating a diet very low in carbohydrates you could well become deficient in essential nutrients like B vitamins, zinc and iron, which are all essential in maintaining good health, good skin and feeling energised and well in our bodies. Interestingly, research has shown how important bacteria in our gut may be for our health, and it has been suggested that a fibre rich diet can help improve your good bacteria levels! Studies have also shown that carbohydrates can make us happy! Carbohydrates are extremely important in the synthesis of serotonin, a chemical made in the body that contributes to wellbeing and happiness. Serotonin is also nature‘s own appetite suppressant! A well-balanced diet inclusive of carbohydrates is also found to improve sleep patterns, thanks again to serotonin and even improve brain performance and concentration! Often when people try and cut out carbs to lose weight, they’re cutting out other high calorie ingredients that are mixed in with them such as butter, cheese, cream and oil and therefore it’s not necessarily the removal of carbohydrates alone that has caused weight loss. If we take a portion of mashed potato for example, usually you’d add a knob of butter and half a small cup of cream which can really rack up the number of calories. Eating too many calories – whether they are carbs, protein or fat – will contribute to weight gain. However, interestingly carbohydrates contain fewer calories gram for gram than fat, and starchy foods can be a good source of fibre as we mentioned earlier, which means they can be a useful tool for weight loss. Therefore, instead of removing the side of potato from your meal, a better solution would be to have a side of boiled new potatoes or sweet potato wedges, helping to satisfy your hunger and providing you with an abundance of nutrients. 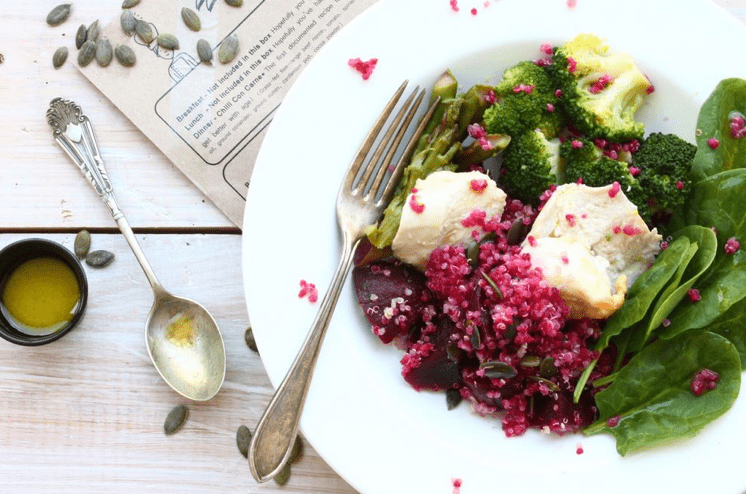 At Balance Box we are passionate about creating yummy balanced meals. We love to take a classic comfort food dish, like a chicken curry, and give it a healthy twist by removing the traditional stodgy ‘simple’ carbs and replacing them with low GI grains like brown rice, or barley to keep you feeling energised, strong and happy in your body! Although we are huge advocates of including carbs in our diets, we do also believe that moderation is key. Remember that eating too many calories – whether they are carbs, protein or fat – will contribute to weight gain. As a rule, we try and stick to around 4 tablespoons of wholegrains or pulses with each meal, half the plate filled with veggies and a piece of protein per meal – this will help to keep hunger at bay and it’s a practical tip to help with portion control, it’s also something our chefs and nutritionists stick to whilst prepping our meals! When embarking on any new diet plan, the chances are you will lose a couple of pounds. The hard thing is keeping this weight off in the long term – the problem with ‘faddy diets’ is when you stop the program it is easy to go back to potentially bad habits. If a diet is very restrictive it’s much easier to fail and then reach for something calorific. If you choose a balanced diet, you’re more likely to be able to stick to the plan and change some of your habits for healthy ones in the long term meaning you’re less likely to put any weight back on. 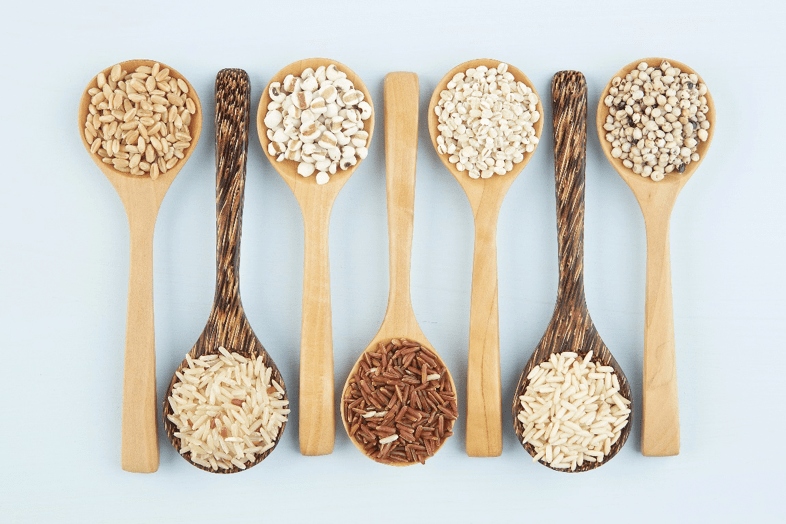 Some of the healthiest cultures in the world such as the Japanese, Nordic and Mediterranean countries incorporate lots of complex carbohydrates into their diets. These cultures typically eat lots of whole grains, beans, fresh fruit and vegetables, eggs, oils and seafood while meat, sugary foods and refined carbohydrates take a back seat. This healthy way of life has influenced our programs here at Balance Box including recipes filled with these wonderful ingredients.